Rajasthan Prime Steel Processing Center Pvt. Ltd.
Honda Trading India Pvt. Ltd.
Steel processing center providing steel process like slitting, cut to length, shape blanking, and TWB by procuring raw material steel both from Indian domestic and import source as per customer's requirement Cutting, Slitting. 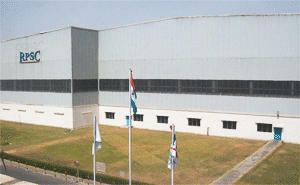 Steel Center Co., Ltd., Honda Cars India Ltd. and Honda Trading Corporation India Pvt. Ltd.
Company started production with 800 ton, slitting, C Type press, Manual shearing, Tailor welding Machines.